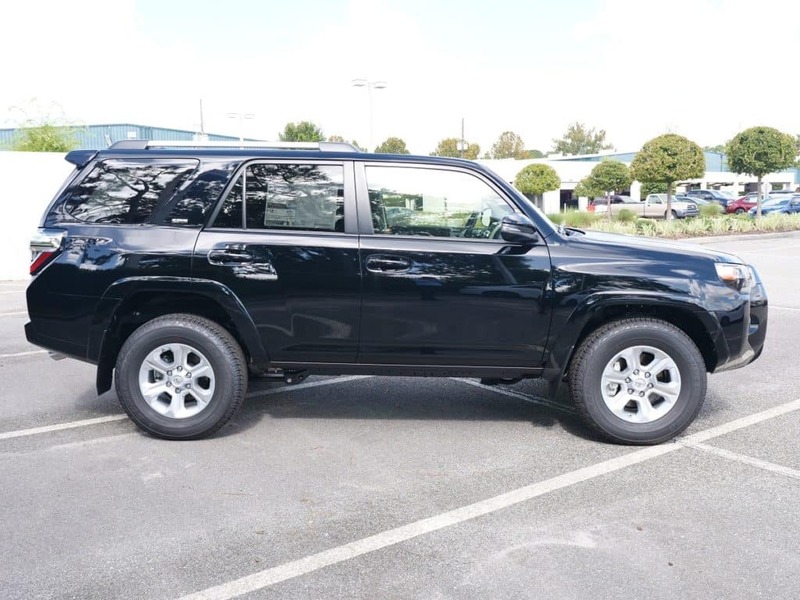 A champion on the pavement and an off-roading professional, the 2019 Toyota 4Runner is a force to be reckoned with and it’s parked on our lot at Toyota of Orlando right now! This Toyota SUV is engineered to handle the toughest terrain and go on any adventure with new engineering capabilities and trim levels. With features and options new for the 2019 model year, you’re going to want to take the Toyota 4Runner on your next trip, on or off the road. What’s new with the 2019 Toyota 4Runner? New trim levels like TRD Off-Road Premium, Limited Nightshade Edition, and TRD Pro. A new roof rack available on the TRD Pro trim level. All new Entune infotainment with optional JBL premium audio. A powerful 4.0-liter V6 engine muscles 270 horsepower and 278 lb./ft. of torque to help you climb hills and get to work quickly and efficiently. Rear-wheel drive, part-time 4WD, and full-time 4WD with Active Traction Control add versatility. Crawl Control (CRAWL) and Multi-Terrain Select. Hill Start Assist Control and Downhill Assist Control. Coil-spring independent double-wishbone front suspension and 4-link lateral rod rear suspension. TRD FOX high-performance shocks and TRD-tuned front springs available on the TRD Pro trim level. Projector beam headlights, integrated fog lights, and LED taillights. Unique front grille and TRD badging on the TRD Pro trim level. Black or chrome door handles with touch-sensor lock and unlock. 17-inch and 20-inch wheels with various spoke types and colors. Fabric, SofTex, Perforated leather, and leather trim seat upholstery options. The Smart Key System with Push Button Start and remote illuminated entry. Backup camera with projected path. Optional sliding rear cargo deck with under-floor storage compartment. Two front, two rear, and one cargo 12V auxiliary power outlet. Entune infotainment with available premium JBL enhanced audio. 1-inch high-resolution touch-screen interface with split-screen display. Driver and passenger seat active headrests to minimize neck injury. LATCH tethers for better car seat security. Front and rear parking assist sonar. An advanced airbag system for the front and passenger seats. TAP (Thorax, Abdomen, Pelvis) front-seat mounted airbags and Roll-sensing Side Curtain Airbags (RSCA). 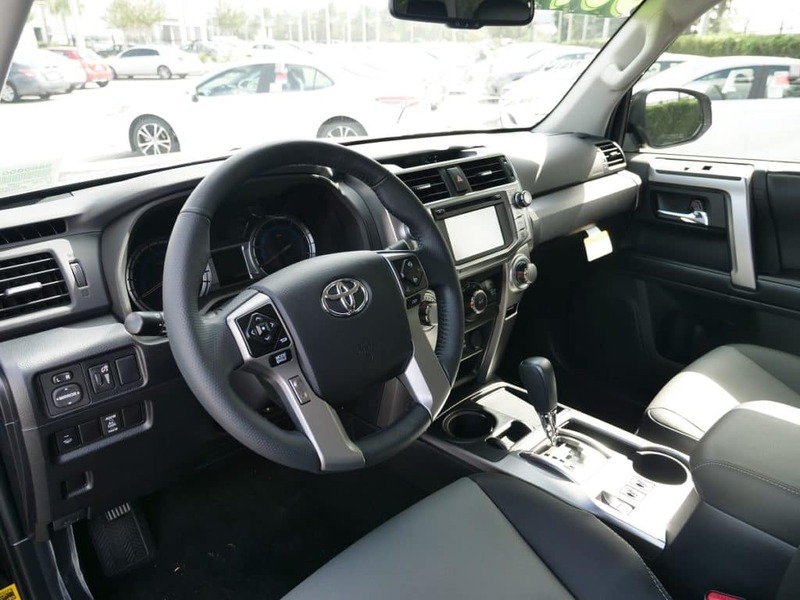 The 2019 Toyota 4Runner is here to take you on an adventure and with features like these you’ll find there’s a lot of exploring to be done. If you’re wowed by these features, then it’s time to come take a test drive at Toyota of Orlando! We have a great selection of the new Toyota 4Runner and they’re all waiting for you to take the wheel. Come visit us seven days a week at 3575 Vineland Road just off I-4 near the Millenia Mall!